Second episode of the Stack Em! Bundles series from ProducerSources & SMEMO Sounds (Award Winning Sound design label) are feeling extra generous providing you more than 9.75 GB of their TOP Best-Selling & Industry-Leading Sounds for an incredible price of $19.99 instead of $485 ! You will not find currently a better Deal for Music Producers than this. 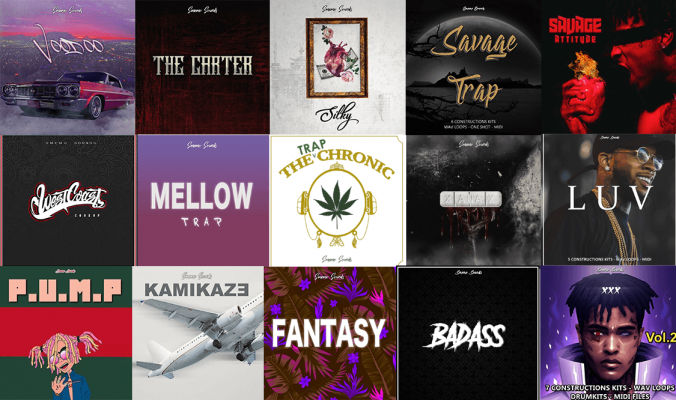 This bundle is loaded with everything from industry-leading Drum Kits, WAV & MIDI Kits, Preset Banks, Royalty-Free Sample Packs & of course SMEMO Sounds infamous Construction Kits with beats that have spawned many hit records. This offer ends at midnight on 1 May, 2019.